Finding the perfect taco doesn’t require heading South of the border. You can find authentic flavors and the street food experience right here in Maryland—you just have to know where to look. These taco joints are serving up fresh and tasty Mexican food that is full of flavor and nothing like what you will find in the chains. Here are the 10 best places to buy a taco in Maryland. This is a stools-only spot located in a gas station, but don’t let that fool you. Any fan of “Diners, Drive-Ins & Dives,” may have seen R&R featured on the show and for good reason. This is the type of food you would expect to taste at a taco stand in Mexico. It’s authentic and fantastic. If your idea of a good day involves a taco and a beer while sitting in the Maryland sun – visit Papi’s. The service and food is fantastic, beer cold, tacos delicious and the atmosphere is perfect. A Baltimore favorite, Papi’s makes you want to keep coming back. The flavors really pop here thanks to their use of chorizo, fatty pork head, and Mexican spices. For unique tacos that stand out due to their authenticity and fabulous flavors, you should visit this Hyattsville hot spot. Everything is fresh so skip the chains and head here. Fresh tacos and kids eat free on Mondays, makes this a family favorite north of Baltimore. Even when the kids aren’t eating free, its affordable at only $2.75 a taco. They also serve unique Mexican food like shrimp stuffed avocado and carne asada fries that you won’t find anywhere else. 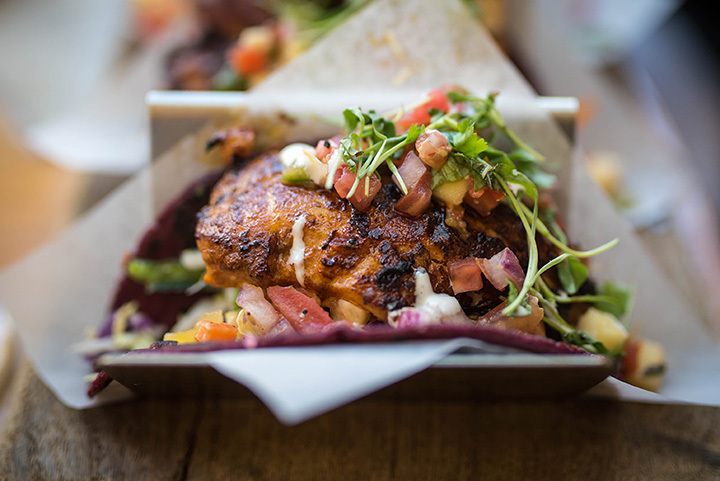 Awesome Mexican street food is being served up in this beer and wine shop. Sure, it’s a strange mix but the best street food is never found at a sit-down restaurant. It is family owned and the tacos are beyond fantastic, even for people who have traveled south of the border on a regular basis. Tex-Mex at its best, Mother’s Cantina at Ocean City has a large menu featuring tacos, along with Tex-Mex favorites like chimichangas. Their fajitas are also fantastic so everyone is sure to find something they will enjoy while spending the weekend at the beach. Cheap tacos to feed the entire family—check. You can easily feed a family of five for less than $35, making this an affordable and authentic dinner spot on the Eastern Shore. If you want to try the soup before ordering tacos, get the sopa de mariscos (fish soup). It’s the perfect blend of Maryland seafood and Mexican flavors. A recent addition to the Annapolis downtown area, Vida Taco Bar is serving tasty tacos and pitchers of margaritas for locals and tourists alike. If your idea of a good time involves margaritas by the pitcher and tacos that keep coming, this is the spot to be. Plus, people watching in downtown Annapolis is always fun. This is authentic and affordable Mexican food in Fells Point. Absolutely yummy and a local favorite, the tortillas are fresh and there is nothing like them. Without fresh tortillas, a taco can hardly be authentic so if you haven’t tasted the difference yet, you have to. Also, the food is affordable so you can buy tacos for as little as $2.99, and that’s for steak. This is not your average taco joint. Instead, the food is incredibly fresh and local. This means that you can find things in season and specialty tacos that aren’t necessarily served year-round. You must try the guacamole. With how fresh the avocados are, you will be in heaven.